Sharon brings exceptional local knowledge and enthusiasm and has earned a reputation for matching people with the perfect home to suit their lifestyle. Listening to clients' wants and needs, establishing a genuine relationship and putting in the extra time to find the best neighborhoods or negotiate the best possible price for every home in the least amount of time are what sets her apart from the rest. Sharon leverages her relationships with people from all over the country to offer an unparalleled and comprehensive approach to buying and selling homes. Sharon has a knack for helping clients achieve their goals through consummate professionalism, poise and grace, and she brings a personalized attention to detail that fosters remarkable outcomes. Not to mention an infectious laugh and sense of humor that frequently results in her clients becoming lifelong friends. 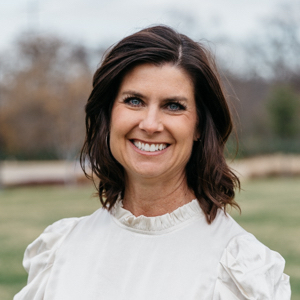 A Texas native, Sharon grew up in the Colleyville-Bedford area, received her bachelor's degree from TCU in Psychology and a Master's Degree in Counseling, both prove to be an asset to her communication and negotiation skills. Sharon has been an active member on many Fort Worth local charitable boards like the Kupferle Health Board & Jewel Charity Board. She is also a member of the Fort Worth Junior League, Colonial Country Club, & The TCU Alumni Association. She and her husband, Craig have been married for 26 years and have 2 children. They are all TCU horn frogs. An avid traveler, she unwinds by hiking to the top of a mountain or exploring the outdoors. Grateful for her incredible group of friends and associations throughout the area, Sharon welcomes the opportunity to navigate newcomers and natives alike through the incredible lifestyles our area has to offer.